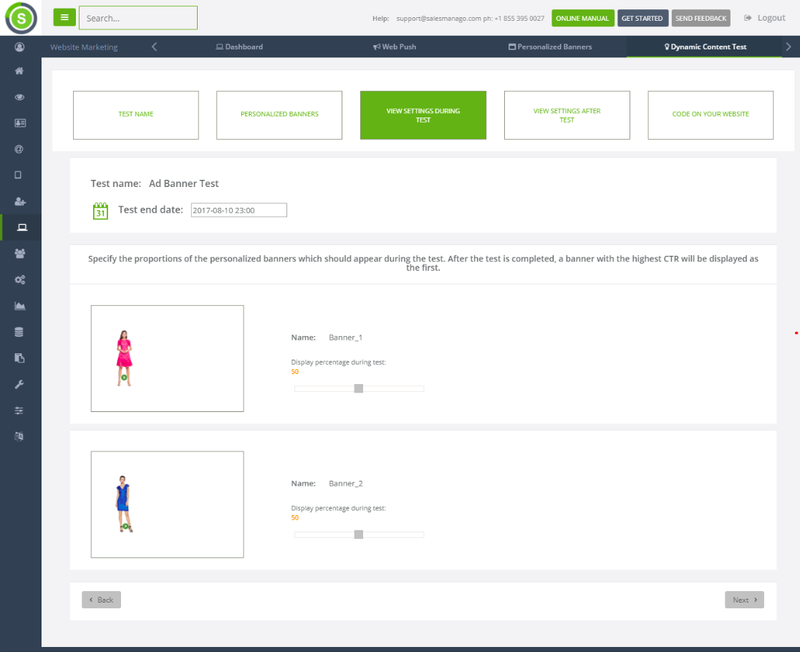 With SALESmanago Marketing Automation software you can prepare and run A/B/X testing of your dynamic content. 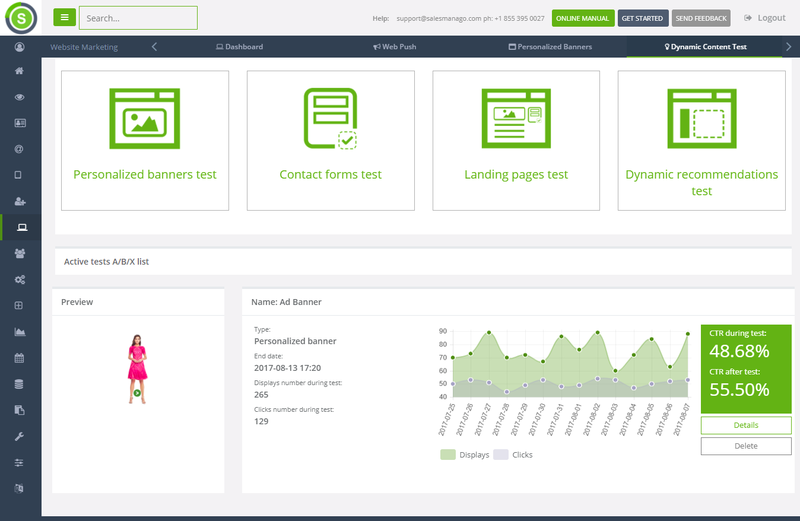 In the drag&drop creator, you can design any number of banners, forms or landing pages, and then the Marketing Automation system will display various creations in the given place according to defined ratio. The data about the performance of each creation are available in dedicated analytics dashboard. 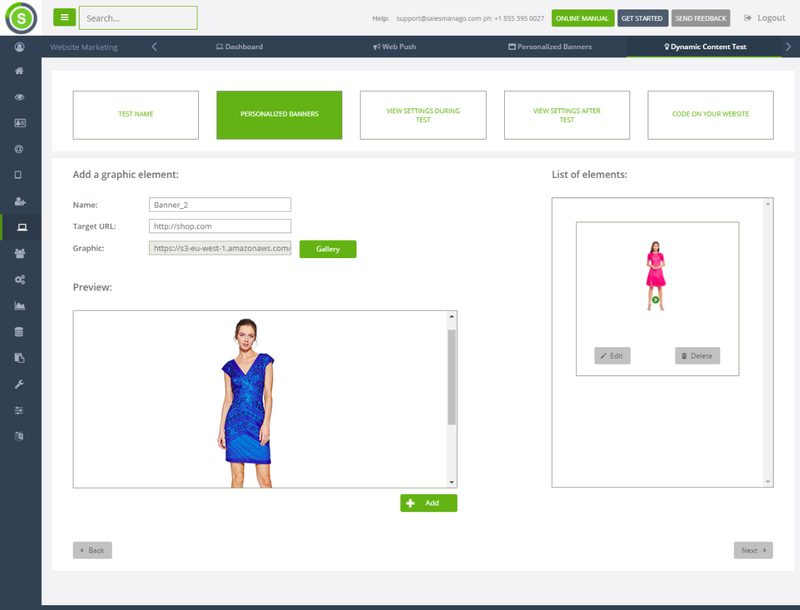 After the test, SALESmanago will automatically start to display the most successful creation and can also display others in defined proportions. 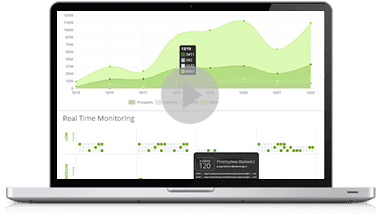 Because all the data about results driven by each creation are still collected in the dashboard, you can change the creation at any time and react in real time to any shifts in results. In the module, you can run an infinite amount of tests at the same time for any number of creations. To put your creation on the website, you need to paste a simple code generated by the system in the place when you want to display tested banner or form. 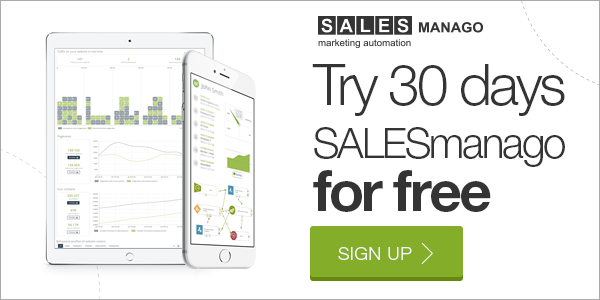 SALESmanago Marketing Automation platform will automatically count the number of the display according to your traffic. 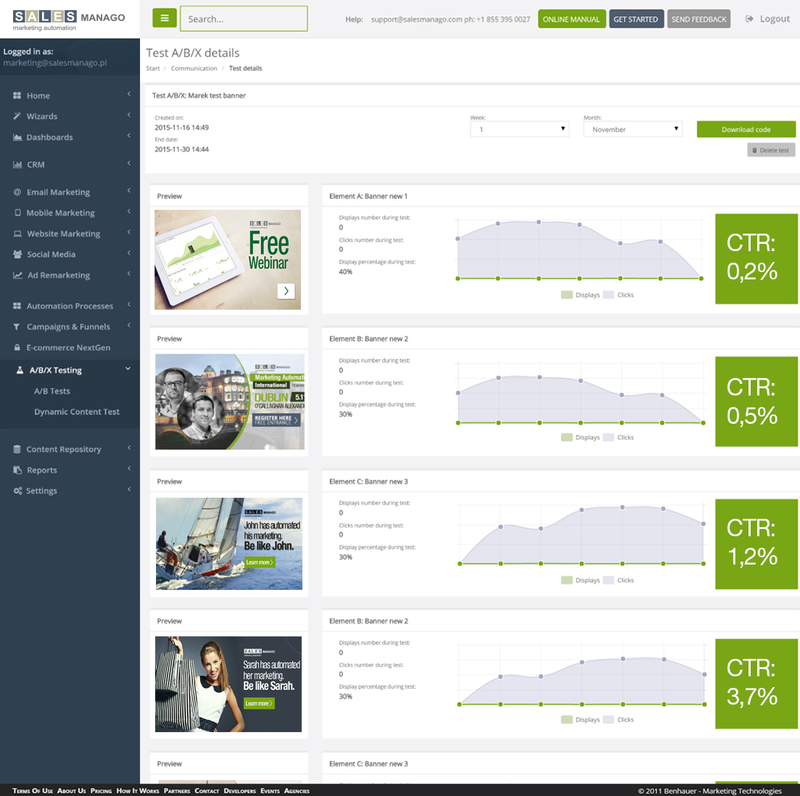 Then it shows the creation and measures views and conversions (clicks for banners, filling in for contact forms and landing pages). 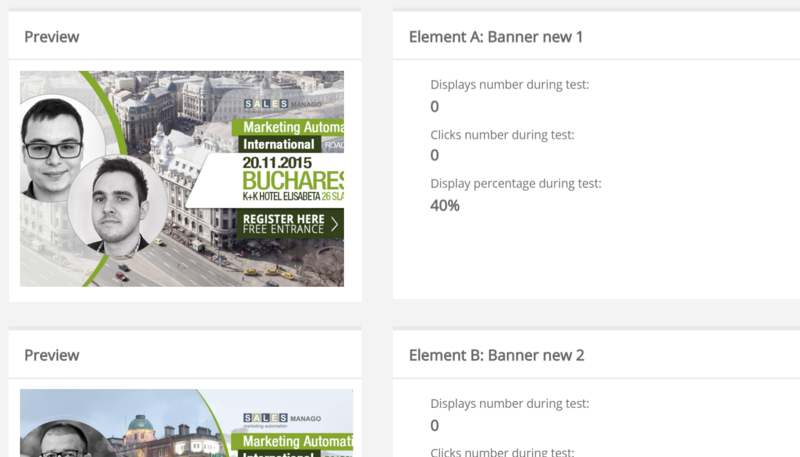 Dynamic banners – test various mechanics of suggesting products basing on behavioral profiles of anonymous and identified visitors. They’re most often displayed in the form of a frame. Setting proportions of displaying creations during the test – in the range from 0 to 100%. All the test data in real time on one dashboard, including test results. You can also find there the data for each creation individually and comparison to test period, so you can change proportions of the display if it turns out that after some time the most successful creation in the test doesn’t drive impressive results anymore. 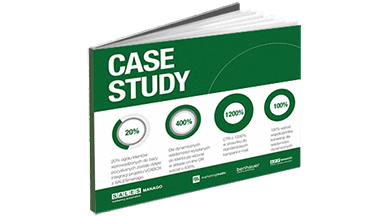 The main parameters measured are a number of views and conversion.